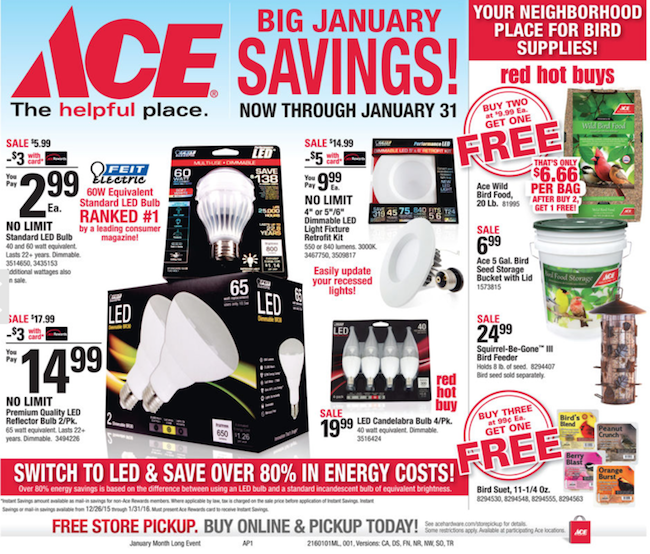 Here is the ACE Hardware ad for the month of January that is valid through January 31, 2016. 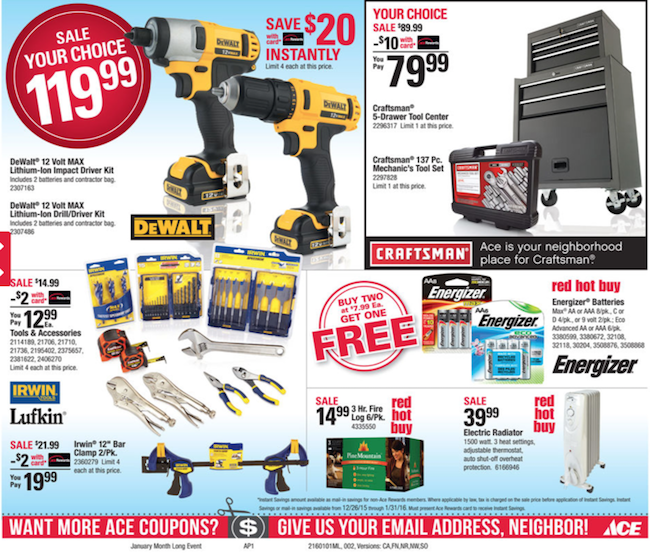 ACE Hareware is a home improvement store with great customer service! 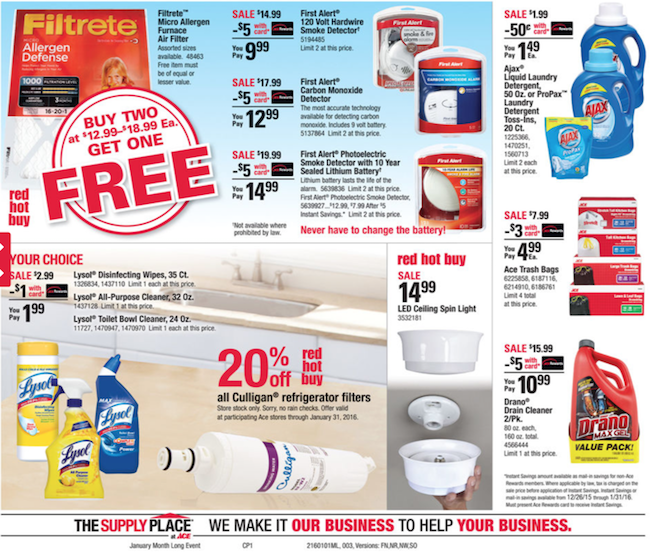 Ace will occasionally release an ad in the Sunday newspaper. 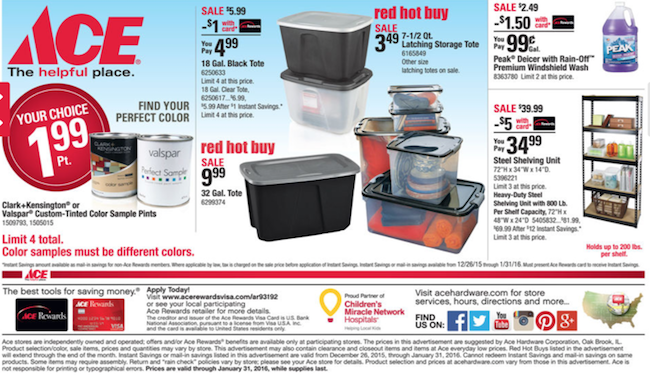 The Ace ad features a sale on storage totes, bug spray, and paint. **Based on zip code 81505. 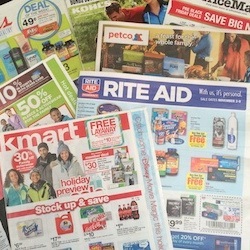 Prices and products may vary by region.